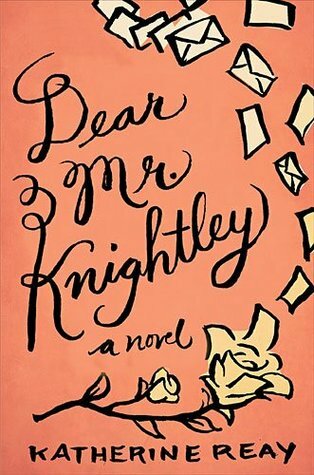 I really enjoyed Dear Mr. Knightley, Katherine Reay's debut novel, and was excited to get to read her second book. Everyone who loves Jane Austen knows Lizzy and Jane Bennet and the deep sisterly bond they share. That's one reason this book took me by surprise, as Reay has written us a story about two sisters who are not close and who actually hold quite a bit of animosity towards each other from events that happened in their past. Our point of view character, Elizabeth, is a chef in New York whose whole life revolves around her restaurant. When her cooking begins to lose its touch and the restaurant owner brings in another chef to help spice things up, Lizzy feels threatened and in need of a break. She heads back to her home state of Washington and ends up staying with her sister Jane, who is battling cancer and in the middle of chemotherapy. Jane's cancer is a constant reminder of all that stands between the sisters, because their mother went through the same journey fifteen years earlier. Lizzy felt like Jane walked out on their family during that hard time, but she herself has kept her distance since then. After so many years of hurt and heartache, it seems impossible to bridge the gap that has grown between them. 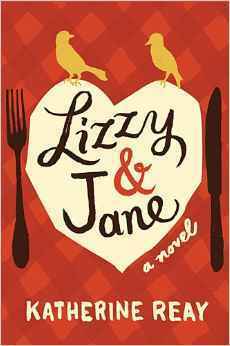 When Jane's husband Peter has to leave for business trip, Lizzy makes arrangements to lengthen her stay and help out. Jane is not able to eat much because her treatments have completely changed her taste buds, and Lizzy takes this as a personal challenge to find new flavors to appeal to Jane's palate and enable her to keep food down. Drawing inspiration from Jane's favorite literature, Lizzy's chef instincts take over as she creates many new dishes. While helping Jane, Lizzy is developing relationships with her niece and nephew, the nurses and other patients in the cancer ward, and Jane's handsome neighbor Nick. Her own world and dreams are so insular that Lizzy doesn't know how to relate to these people, many of whom are in very vulnerable places in their lives. As Lizzy tries to recover her cooking touch and confirm her plans to return to New York, she finds she may be leaving a very large part of her heart in Seattle. It took me a long time to really get into this story. Part of that was knowing the seriousness of the subject matter, and part of it was that it's not easy to make an emotional connection with Lizzy as a character. I also had a hard time with the verbal darts that both the sisters, and especially Lizzy, would throw towards each other or anyone else in their way. As someone who loves words and finds them affirming, to watch them used over and over as hurtful weapons made me sad, and thankful that my family tends towards the opposite end of the communication spectrum. While "Dear Mr. Knightley" held lots of literary references which were easy to relate to, that wasn't true with "Lizzy & Jane." I know many people who are talented cooks for their homes and communities, including many who are classic literature fans, but I can't see myself or any one of them creating whole menus based off references in the works of Austen, Dickens, or Hemingway. As that would be so far beyond our skill set, it actually pushed me out as a reader instead of drawing me in. I will say that the book became more engaging the farther I got into it, and there's no doubt that Reay is a talented author. While I can't quite share the sentiment of those who placed "Lizzy & Jane" on their list of favorite books from 2014 because the book just had so many dark and serious overtones, I did enjoy it and look forward to Reay's next release. I'm glad she's finding her place in the publishing world and making classic lit shine in new ways. 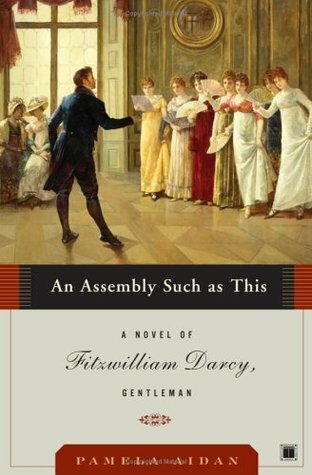 Following in the footsteps of "An Assembly Such as This" and "Duty and Desire," this final installment in the Fitzwilliam Darcy, Gentleman series brings us the climactic events of Jane Austen's "Pride and Prejudice" from the hero's point of view. Darcy's love for Elizabeth is on full display, from the opening scene on the way to Kent all the way through to the final lines on the last page. After the disastrous events of the second novel, Darcy is ready to forget women everywhere and revoke his emotional attachment to Elizabeth for good. But the very day he makes this choice, he arrives at the home of his aunt for his yearly visit and discovers that Elizabeth herself is visiting her good friend just down the lane. A meeting is inevitable, and his heart will not listen to his cautions. Finding Elizabeth just as witty and lovely as she was in Hertfordshire, Darcy decides he cannot live without her and begins what he believes to be a courtship, mistaking Elizabeth's responses to him as a form of shy encouragement. When he finally makes a declaration of his love in the Hunsford parsonage, he is beyond shocked at her round refusal and complete dismissal of him, his hopes, and his character. Darcy returns to London and spirals into despair. How could he have been so blind to her true feelings? Could it be possible that he is more the man she thinks he is rather than what he has always tried to be? With the determined love of his sister and the strength of a good friend helping pull him through, Darcy begins overhauling the way he views the world and attempts to become the kind of man that Elizabeth would be proud to call friend, even though he knows he may never cross paths with her again. I positively loved this book and found it thoroughly engrossing. Darcy's emotions were so palpable, whether it be his love or his pain or his decisions to make himself a better man. Although I enjoyed the first two books, I found this one to be the best by far. I hated every time I had to put it down, even though being familiar with Austen's original meant I knew how events were going to unfold. Pamela Aidan added a whole new dimension to the story and it had me hooked. I have a new understanding of Fitzwilliam Darcy which will enhance every future reading of the classic or the viewing of its various adaptations. This series, and especially this final book, is one I would recommend to all Austen fans. If I may badly quote Lady Metcalfe talking to Lady Catherine: "Pamela Aidan, you have given [us] a treasure." 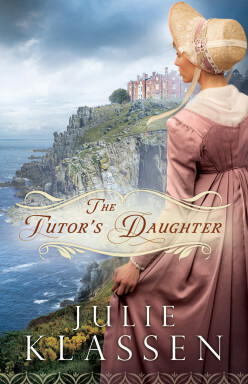 Regency fiction always catches my eye, and I love it when an author is able to bring a new angle in teaching me more about Jane Austen's time period. In "Prelude for a Lord," Camille Elliot reveals that playing the violin was once considered to be improper and scandalous for young women. Of course this is demonstrated by a headstrong young lady who insists on playing it despite society's disapproval, and the story is made complete by a mystery surrounding her beautiful and unique Stradivarius instrument. Lady Alethea Sutherton grew up rather isolated in the English countryside, with an unfortunately unloving family. Her one season in London was a miserable disaster, and she has mostly hidden away ever since, content to be reclusive because it means she can fully embrace her love of music. 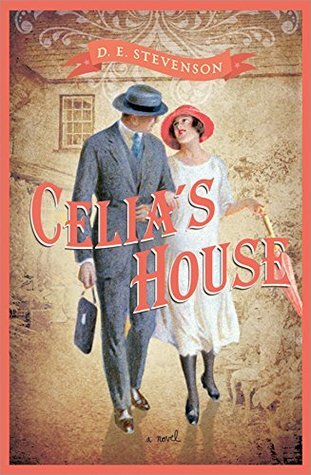 When her cousin inherits her home and the family title, he forces Alethea to call upon the mercy of their aunt in Bath to take her in, and Alethea must get used to living in town as a 28-year-old socially inept and opinionated spinster. Her life becomes more complicated when she realizes she is being followed when she leaves the house, and she is confronted by a mysterious agent who wishes to buy her violin for a nameless client. Alethea treasures her instrument, which was left to her by the neighbor who taught her to play and gave her light and love during her dark upbringing years, and she refuses to sell it. She has tried to keep her playing a secret in order to protect her aunt's reputation, but it's clear someone has found out and knows more about her instrument than she does. Alethea is forced to seek out the help of the talented Lord Dommick, who in their one meeting years earlier had soundly discouraged her from continuing her musical pursuits, to discover the provenance of her violin. Lord Dommick is well-known as a musician and composer in the London society scene. He has played in a quartet with his university mates for several years, until half of them joined the army to take part in the Naploeonic Wars. Now Dommick is back England, having recovered from an injury and now suffering from PTSD. The nightmares and flashbacks have made him reclusive, afraid to have an episode in public and thus bring shame onto his family. One of Bath's foremost matrons tempts Dommick to help Alethea in exchange for prominently featuring the Gentlemen Quartet in her upcoming gala, which would give a needed boost to their flagging social standing. He does not expect the attraction to Alethea nor the danger that both they and their families will face as the story unfolds. This novel was a little slow to get into but I was quickly hooked and could not stop thinking about the characters. The novel has a bit of a darker tone, more in the style of Dickens than Austen, and I felt this was even reflected in the choice of character names. With other current Regency authors, such as Julie Klassen and Sarah Ladd, they really try to use names that are both familiar and period-appropriate, but Camille Elliot let you wrestle with the harder names and let them set the mood for a different kind of story. In fact, she has written blog posts about how she close Alethea's and Dommick's names, which I found fascinating. I loved the many secondary characters, and found the faith element very well-done and natural. I will be watching for the release of future titles by this author! 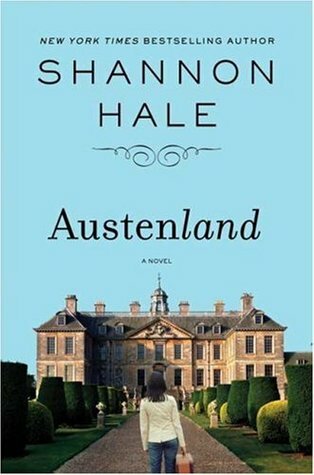 "Austenland" is the funny story of Jane Hayes, a Jane Austen fan who has an opportunity to do something that the rest of us Janeites can only dream of: going on holiday at an English country manor where everyone dresses and speaks like it is still the Regency period! After enjoying the movie, which stars Keri Russell, Bret McKenzie, and JJ Feild, the latter of which happens to be one of my favorite British actors, I was interested in reading the book to find out more of the backstory and motivations for the main characters. Jane is a thirty-something New Yorker who has never been able to find a man who measured up to her idea of Mr. Darcy, as portrayed by Colin Firth in the BBC version of "Pride and Prejudice." 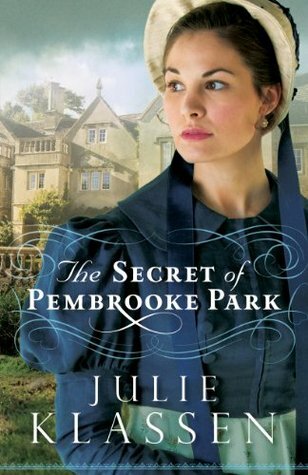 In the book, an older relative discovers her secret passion and as part of her will bequeaths Jane an all-expenses-paid trip to the Austenland resort, a place called Pembrook Park. There with other female guests she is to be entertained by actors playing Regency characters, and have the chance to live out her fantasy of what life might have been like in early nineteenth century England. Upon arrival at Pembrook Park, Jane is fitted up with a corset and empire waist gowns, and is asked to relinquish all modern devices for the duration of her stay. Jane manages to sneak in her cell phone but is otherwise on her own, given the name of Miss Jane Erstwhile, and asked to play the part of a less fortunate relative visiting her loving aunt Saffronia. Although the men playing the Regency characters are handsome and interesting to interact with, Jane soon begins longing for something real. She understands that the gentlemen are actors who are actually paid to enjoy her company, which takes a lot of the fun out of it. Even though she has much witty banter with one Mr. Nobley, it's the attraction of someone who is truly himself which leads Jane into a clandestine relationship with Martin, Pembrook Park's gardener. When he breaks things off, Jane decides it's time to take charge of her own story and enjoy the rest of her time for what it is. While sparks continue flying between Jane and Mr. Nobley, she can't be sure it's not because he's just a good actor. The characters go on to do very Austen-esque things, including putting on a theatrical and later dancing the night away at a ball on their final night. Before Jane goes home there is one final twist to shake up her perception of what is true and what is part of Austenland's manipulation of reality. Completely disillusioned, is there anything the man who has come to truly love her can do to convince her that he isn't playacting anymore? In the end I have to say that, between the book and the movie, surprisingly I slightly preferred the movie version. The book did exactly what I hoped in fleshing out the characters and helping me understand them better, but the author had a somewhat scattered, forced writing style which remained unconvincing. If you really like the movie I'd say the book is worth looking into, while I'd recommend the movie for all Austen fans, especially ones who know how to enjoy life without taking themselves too seriously. 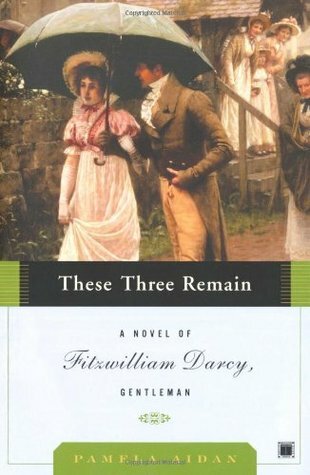 This second novel of the "Fitzwilliam Darcy, Gentleman" series takes up immediately after the events of the first book, with Darcy having departed for London after the Netherfield ball. We get to continue making the acquaintance of his London friends, as well as see Darcy's annoyance at Caroline Bingley's continued attempts to draw him into pursuing her. It is a special treat to readers to see Darcy travel to Pemberley for the Christmas holiday and be reunited with his sister Georgiana. It had been many months since the brother had left his sister in the care of Mrs. Annesley, and at the time of their parting Georgiana was still much grieved after her near-elopement with Wickham. Darcy is amazed to see Georgiana so recovered and making great strides towards becoming a poised and gracious young lady. It is a very happy Christmas for the Darcy siblings! Yet there is another woman whom Darcy can't help but wish were with him at his family home. No matter how hard he tries, Darcy cannot forget Miss Elizabeth Bennet. He envisions her everywhere, even while trying to forget her. No amount of reviewing his objections to the match will convince his heart to leave her behind. Finally he is convinced that there's only one thing to do: begin actively seeking out and pursuing other women who would make a more suitable choice for a wife. This decision leads Darcy to accept an invitation to a week-long house party at the estate of a school chum. The time he spends at Lord Sayre's estate takes up the majority of the book. There are several eligible females for Darcy to consider, and plenty of time to reacquaint himself with friends he hasn't seen in years. But there is trouble afoot, and quite a mystery unravels itself through the second half of the story. Who is orchestrating the haunting events which are disturbing the party? What is the purpose behind the ghastly displays? Will Darcy be successful in finding a more socially acceptable woman to give his heart to? I quite enjoyed this second installment and look forward reading Book 3 soon. I must say that my favorite of the new characters that Aidan has introduced is Darcy's valet Fletcher. He is interesting and amusing, and it's fun to see him expressing his opinion in subtle and not-so-subtle ways that Elizabeth is indeed worthy of his master's affections. Even though I know how Jane Austen's classic story unfolds, seeing it from Darcy's perspective makes it all fresh again. As a huge fan of Jane Austen, I was thrilled when a friend recommended I check out Pamela Aiden's "Fitzwilliam Darcy, Gentleman" series. This trilogy retells Austen's beloved "Pride & Prejudice" from Mr. Darcy's perspective. 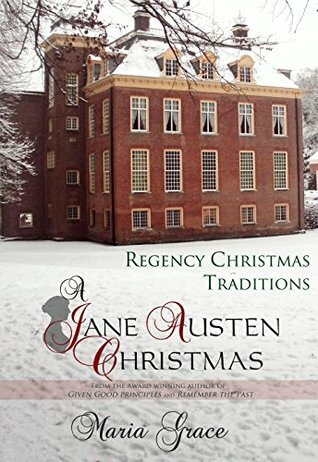 I have to admit that Darcy isn't my favorite of Austen's heroes, but I was still eager to read this when I was able to get a copy. "An Assembly Such as This" opens at the Meryton dance where Darcy is introduced to the society into which his friend Charles Bingley has moved. Used to the finest social circles, Darcy is a little horrified at the country manners he sees on display, and has no interest in forming friendships with the people there. On the other hand, Bingley is captivated and charmed by the whole town in general, and Jane Bennet in particular. It's when Bingley urges Darcy to dance with Jane's sister Elizabeth that Darcy's famous rebuttal is spoken: "She is tolerable; but not handsome enough to tempt me." Yet it is just the same Elizabeth who Darcy can't quite get out of his mind over the next few weeks and months. Upon further meetings with Elizabeth, Darcy is struck by her wit and the teasing way she communicates with others. He can tell there's a disconnect between them, and while he longs to heal the breach, he is a little unsure on how to do so when she finds a way to dismiss his every attempt at friendship. As the Netherfield ball approaches, all Darcy can dream about is finding a way to ensure her good opinion, even while he knows he must be careful in his deep regard for her. I enjoyed this book very much! It was fun to meet new characters, like Darcy's valet Fletcher, who seems to have lots of unknown mischief up his sleeve. The book is written in a classic style so it took me longer to read a normal novel, but that won't stop me from reading the next books in the series as I am able. This novel concludes a little while after the Netherfield ball, when Darcy and Bingley are in London and going to parties that include real historical figures such as Beau Brummel and Lady Caroline Lamb. As "An Assembly Such as This" closes, Darcy is about to remove to Pemberley for the Christmas holidays. This book was very faithful to Jane Austen's original, including the discomfort and agony of meeting Wickham in Meryton, and the love between Darcy and his sister. I would highly recommend it to all Austen fans! With a such a fantastic title, I knew I'd be interested in this story from the moment I heard about it. Plus it's written intriguingly in epistolography form, so there was much to check out with this debut release. Our heroine, Samantha Moore, grew up in the foster system. In order to protect herself through all the changes and challenges of such an upbringing, she retreated into the world of classic English literature and the words of Jane Austen, Charlotte Bronte, Elizabeth Gaskell, Charles Dickens, etc. Although these helped nurture her young soul, everywhere she has gone she's faced the same challenge: "Sam has failed to connect." Failed to connect at different foster homes, at her first job, at life in general. Now a very young adult, Sam is given an amazing opportunity to attend grad school with all expenses paid. The only stipulation is that she write to her benefactor to keep him apprised on her life. He's taken the pseudonym "Mr. Knightley," and Sam reluctantly agrees to join the program and see if she can pursue her own dreams of a writing career. In case this storyline sounds familiar, this book is supposed to be a modern retelling of Jean Webster's "Daddy-Long-Legs." That's a classic that I need to read myself someday! Through Sam's letters to Mr. Knightley, we learn that she views herself on campus as a Fanny Price among all the self-assured Emma Woodhouses out there. We see her put forth effort in her classes, face obstacles, and venture into friendships as well as the dating world. Sam meets those who want to use her for their own end, as well as those who would love her. She must learn how to be discerning about people and how to let down her barriers when the time is right. As a classic lit fan myself, I "got" all the references to various novels. I wondered if this book would be as enjoyable to those who might not be familiar with Austen and company, and I've seen reviews saying it didn't translate very well. My personal main gripe was that no one writes such detailed conversations in letters, but that's a common factor with this particular style of novel. I could best relate to Sam because I was also a late social bloomer, so this older coming-of-age story made sense to me emotionally. I think all Austen fans would find something to enjoy here, especially those who enjoy themes of finding oneself and triumphing over adversity. I received my copy from LitFuse in exchange for this honest review. All opinions are my own. My love for Regency fiction springs all the way back to its source: Jane Austen! She dedicated her book "Emma" to the Prince Regent, from whose rule this brief period takes its name. 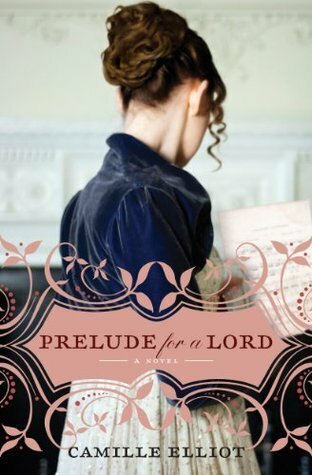 I'm excited that Regency fiction is becoming popular in the Christian market, and when Sarah Ladd's debut novel was highly praised by my favorite current Regency author, I knew this was one I wanted to get my hands on. 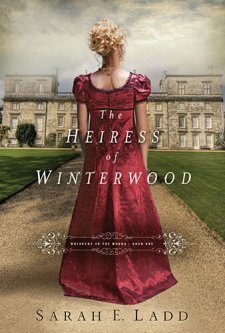 Amelia Barrett is a determined young woman about to be married and to inherit her father's estate of Winterwood. She becomes friends with a young pregnant woman whose husband is away at sea. When her friend dies giving birth, Amelia vows to raise the baby, against the wishes of her family and her fiance. They hope that when the child's father returns she will relinquish her devotion to little Lucy. The idea of a young single woman adopting a child is quite an unusual one for this time period! Can you imagine if Elizabeth Bennet had done such a thing? When Captain Graham Sterling arrives in their country neighborhood many months later, he is shocked when Amelia proposes marriage to him. In her mind that is the perfect solution: with her marriage, her inheritance is secure and she can raise Lucy, and the captain will be serving in the navy most of the time so their relationship of convenience need not be complicated. For his part, he can rest his mind knowing Lucy is loved and well cared for. Captain Sterling, yet grieving the loss of his wife and feeling like he failed her, is not ready to commit to another marriage, especially not to someone he's hardly seen before who is already engaged to be married to another man. Concerned about losing Lucy and her fiance's true intentions in their relationship, Amelia feels desperate. She's very headstrong and feels that she must always be in control of whatever situation she finds herself in. But as Edward's actions become volatile towards her, and her family's disapproval continues to grow, she feels more than ever that the Captain could save the whole situation. This is a very character-driven story. The only major action plot point, detailed in the second paragraph on the back cover, doesn't happen until about two hundred pages in! Not that this is bad, because my favorite stories happen to be character-driven, and Ladd does a great job setting up each major and minor character. But if you happen to like fast-moving tales, this might not be one for you. I would also not recommend this book to anyone who has triggers from emotional or physical abuse. There were a few scenes that, although brief, were concerning to me in this area. Overall I enjoyed this story and plan to watch for Ladd's further releases. Learning to let go and trust God is a lesson that Amelia and Captain Sterling must both learn, and a challenge that we as readers face as well. I received my copy from Booksneeze in exchange for this honest review. All opinions are my own. I was 13 years old when I first read a Reader's Digest condensed version of Jane Austen's "Pride & Prejudice." Unbeknownst to me, a love of all things Jane was going to be a real part of my life in the near future. To say that Jane Austen changed my life might be melodramatic; to say that she greatly enriched my life and continues to do so in more ways than I can count might be a less scary way of saying the same. Young teenage me was already a lover of classic literature, and soon my bookshelves were filled with real versions of her novels. Each of her heroines became my friends. Opinionated Elizabeth, staid and steady Elinor, naive Catherine, quiet Fanny, lively Emma and sweet Anne have been my companions through many hours of reading and re-reading. I have seen fourteen different film versions of these six books, and more if you count Bollywood or modern-day re-tellings. I can debate the merits of different screenwriters, tell you which adaptations are most faithful to the texts, and quote some versions forwards and backwards. It is simply an established fact: I love Jane Austen. 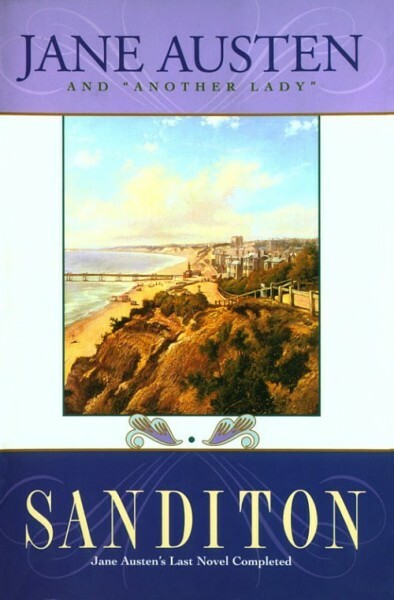 It took me by surprise, however, just how much I enjoyed myself when I sat down a couple weeks ago to read a completed version of Austen's final work, "Sanditon." Jane Austen wrote the first 11 chapters shortly before her death in 1817. 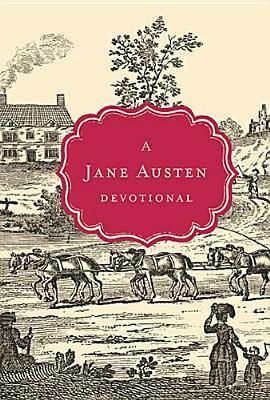 As I began to read through them, loving Austen's rich ability to bring an entire community vividly to life and often laughing out loud at her turns of phrase, I was struck by an observation. I was treating myself to something I would rarely or perhaps never experience again: reading something by Jane Austen for the first time. As an avid reader, a number of the authors I enjoy are still alive and bringing new releases into the world. But with Jane, someone so established in my life yet nearly 200 years dead and buried, it was like a precious gift to have such a new encounter with an old friend. Reading a new Jane Austen as an adult was a fully satisfying venture. With hundreds of titles in my reading repertoire, I can attest that she is as talented an author as any. Her phrasing conveys so much with such ease, using words to please the senses and delight the mind. Her observations of human character ring so true that even today we recognize how right she is to scorn societal weakness and ridicule the absurd. All while calling up the noble and compassionate forces of our own nature and asking us to observe our lives with the candor with which she has observed her characters. Will we find within ourselves the passivity of a Mr. Bennet or the snobbishness of a Mrs. Elton? Or will we desire to be a faithful family member such as Colonel Fitzwilliam, a friend like Eleanor Tilney, or a mentor like Anne Taylor? Austen is a true classic. I know I'm not alone in those who seek out the literature section in bookstores just to smile at the sight of her name and feel in that moment that this is one of the things that is right with the world. I'm so very thankful to be surrounded by fellow Austen lovers in my life and to have the ability to spread the joy of Austen to others I know. 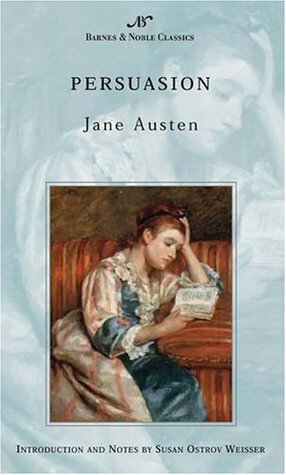 Who knows where my love of Austen will continue taking me in the future, but for now I can say along with our author: "I declare after all there is no enjoyment like reading! How much sooner one tires of anything than of a book! When I have a house of my own, I shall be miserable if I have not an excellent library." A library that includes the works of Jane Austen!